I hate it when real life gets in the way of my fantasy life. You know – the one where I make my living as a small scale garlic farmer, maybe opening a donut cart on weekends to make ends meet. A girl can dream, can’t she? But the reality is that I’ve hit the ground running this fall. My normal design work is kicking back up after a lazy summer lull. I’m taking a couple of online classes at the Minneapolis College of Art and Design (let me tell you, it’s been a long time since I’ve had to follow a syllabus, take quizzes, and turn in homework). We’re in the throes of designing a small new house that will hopefully be built on our land this winter. Which means we’re also in the throes of figuring out how to finance a small new house. 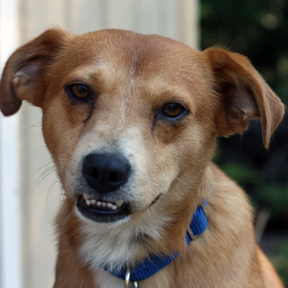 Oh, and to add a little more chaos, we’re fostering (read: probably adopting) a rescue dog. Somebody pass me a donut, please. Earl is a great guy. I can tell you that he has completely won my heart. But Earl is nervous. Very nervous. It’s a crazy world out there, riddled with surprises. Earl will be the first to tell you. So we’re working on this, trying to instill as much calm and stability as we can. And really he is making loads of progress. 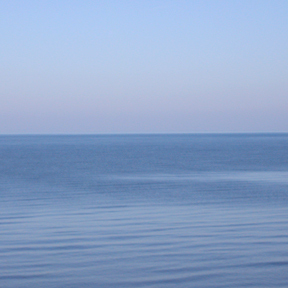 I am lucky enough to live within a half mile of a splendid view of Lake Superior, Madeline Island, and on clear days – Michigan’s upper peninsula. Earl and I have made a habit of trudging (this happens pre-coffee) up the hill each morning. And when we get to the top of the hill, we check on the lake to make sure it is still there. Sixteen mornings straight now, it has been there for us. It’s nice to have something you can count on. Ask Earl. Truthfully though, I go check on the lake for my own sanity as much as anything. My days lately have been frantic and overflowing with things to do. Uncomfortably so, at least for my taste. My morning hike to see the lake is a respite. It wakes me up – literally and figuratively. I take a deep breath in, swallow as much of it as I possibly can, and turn back down the hill towards my day. On the way back inside, I pass by my shed of curing garlic. I look at is wistfully. It needs to be cleaned, trimmed, sorted, inventoried, and stored. But that’s the nice thing about garlic – it’s patient, it’ll wait. I explain to the garlics that maybe some day I really will be a professional small scale garlic farmer. But for now, they’re going to have to put up with my juggling act. At any rate, when I do get to the garlic, and I will, there is bound to be a surplus. I’d love to share it with you. If you’re interested, drop me a note (here) and I’ll keep you posted on what’s available. In the meantime, breathe in and swallow deeply. 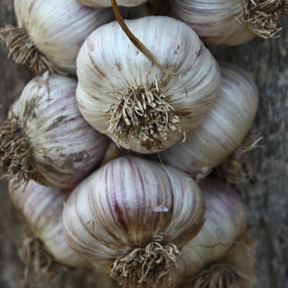 hey Jill, we will be needing more garlic to make it through the winter and i have some platters and bowls that look lovely with food on them that I would love to trade with. oooh! sounds like an excellent trade! can’t wait – I’ll be in touch soon. I’m definitely interested in varieties and prices! Is it too far to ship to NY? I’d love to send my garlic on a NY adventure! (I just sent some to Jacksonville,FL too, what fun!) I’ll e-mail you soon and we can work out the details. Thanks!